The caterpillars live polyphagous in the herb and litter layer. Scopula rubiginata inhabits grasslands, steppes, sandy areas and similar dry warm spots. The caterpillar overwinters. The moths fly in two generations between May and September. Scopula rubiginata is in decline due to habitat loss by agricultural intensification (fertilization etc. ), overbuilding and succession. 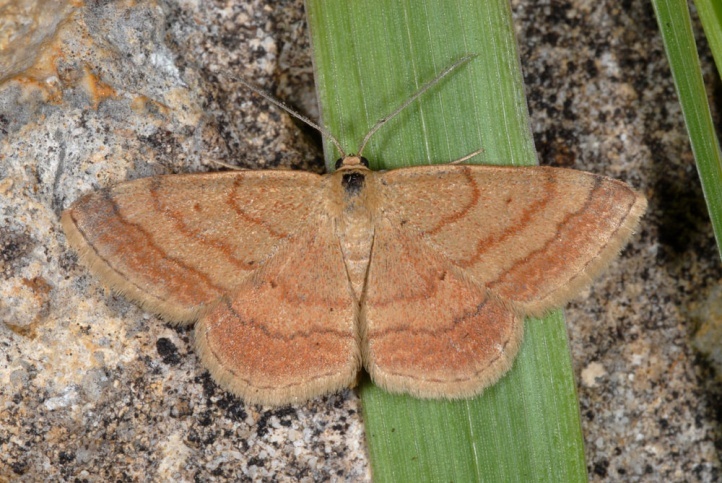 Scopula rubiginata occurs from north Africa across south and Central Europe to parts of Asia.